Okay! 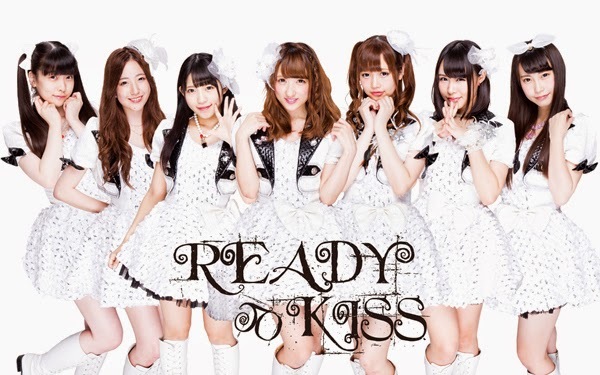 Musume Time: READY TO KISS are READY TO DEBUT! On February 7th, it was announced during READY TO KISSES one-man live at Shinjuku ReNY that the pop-rock Idol group would have their Major Debut this Summer, and would make their official debut under the recently formed Stand-Up! Records (2014), a project that houses both Afilia Saga and Idol College. Formerly, SEISHUN GAKUEN had also been a part of the project, however have since been taken off of the website for unknown reasons. Now, it is time for READY TO KISS to join them! 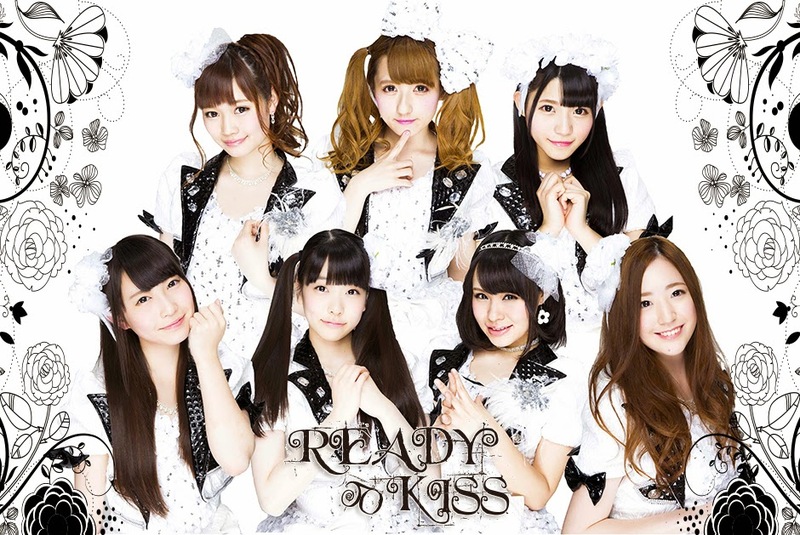 Back in 2013, READY TO KISS was formed in October and made up of members formerly a part of Houkago Princess. Sakino Chiba, Noda Hitomi, Nagafuji Aoi and Kobayashi Rena, as well as a new face, Ichinose Anju, all made up the group. To keep the similarities going between both READY TO KISS and HouPri, the group was also placed under Get-Crazy, the very same company that had originally been home to Houkago Princess before they seem to have branched away from them. In 2014, both Aoi and Rena graduated in order to focus on other things, and so in March of the same year, Kawai Fuka, a gravure model and talent, Toyoda Serina, a model, Harukawa Momoka and Ayuko Uehara. At some point during this year, the group also added Goto Miya and Raiya Miya to the group, however as of late 2014, both Raiya Miya and Toyoda Serina have since left the group to pursue other things, with Serina taking up gravure and a return to modelling. Now, the group works as seven members, and have since had two music video releases, one of which was a cover of Arc's Bio Simulation, as well as an indie single release. With more of a focus on their performance ability and costumes that look both cool and cute however, the group has proven that they are more than capable of a major debut, it seems. If anything, this may allow them to become more accessible, and to also give them reason to grow even more as performers. Regarding this announcement, I won't deny that I am extremely surprised by it - this was the one major debut announcement that I was not expecting, if anything, though I am happy for the group. Both Chiba and Hitomi have been in the Idol game for a while now, 3~4 years about, and given they never had their major debut with HouPri (who are still waiting on that to happen... oh my >o>) I think it's nice that they have found success with READY TO KISS as a performance group that caters to the pop-rock scene, rather than the typical Idol affair. That said, HouPri are on the same level I suppose, given that they have the same composers, music video company recording their performances and PV's, as well as similar companies (once upon a time). Honestly though, despite the surprise and suddenness of this announcement, it is nice to see that these girls will get their major debut this year - there are a lot of Western fans who really like Chiba, from what I have seen (in terms of the HouPri fandom) and who were sad to see her leave HouPri, but happy to see her in READY TO KISS as well, and it seems like as a part of this group, both Chiba and Hitomi have fared rather well and found even more success together, so in many ways, being in READY TO KISS has done them wonders. This is great for the fans too, because now, the group and their songs will become pretty accessible - being indies is tough, and for the Western fans, it can be difficult to find their merchandise, so hopefully this debut will mean that fans of Chiba and Hitomi from the HouPri days will be able to finally have something of theirs in their READY TO KISS era. 2015 will be a positive year for READY TO KISS, and probably even more Idols in general, but it seems like many fans will be happy. Though they are under a rather obscure label right now, it is still nice to see that the girls will have their chance to appeal to a wider audience, and hopefully, release more and more accessible music to us Western fans! For their Summer 2015 Major Debut, are you READY! ?